Blackout honeycomb shades were used to darken the room in the morning. 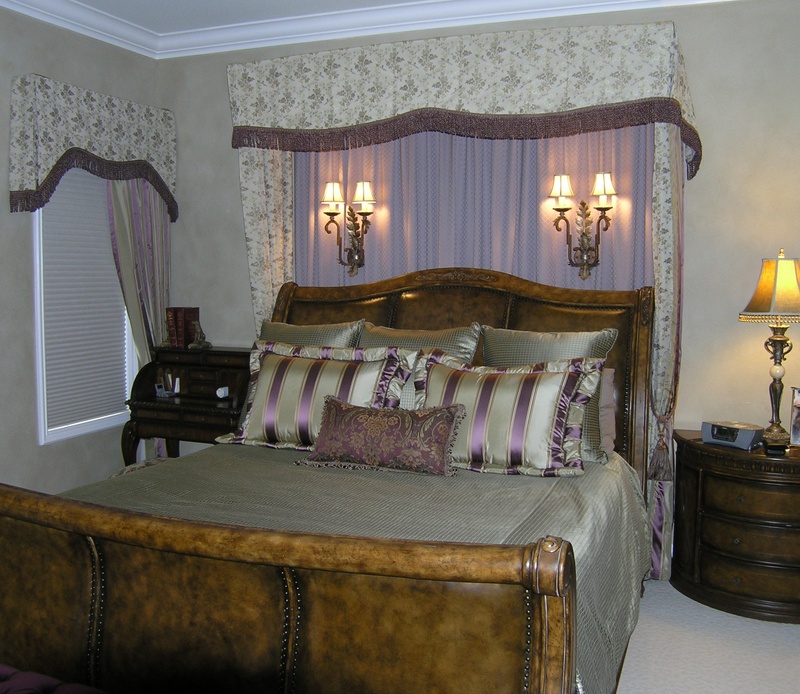 Bullion trimmed lambrequin valance, portier panels and contrasting wall drapery frames this beautiful bed. A custom made blanket, 3 euro shams and assorted pillows finish this beautiful bed.